Sometimes a game’s universal acclaim leaves me wondering if critics are getting soft, giving it and games like it a free pass in certain ways. In such cases, I find it difficult to stand behind even a reasonably well crafted title, and feel it necessary to voice my dissent. Don’t get me wrong, I believe Dead Space 2 is a good game, but I don’t think it’s as great as the gaming community has made it out to be (e.g. 90% on Metacritic). 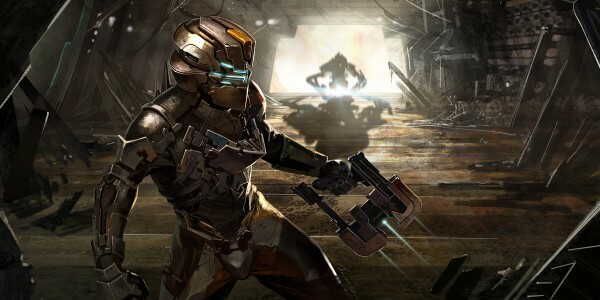 Like the first game, which benefited from the novelty of a shiny new IP with a unique play mechanic, Dead Space 2 felt like what resonates in my mind as “cardboard horror.” What I mean by this is that it fails to immerse me in the experience as I feel it should, and leaves me with the perspective of an outsider looking in, with little connection to the action. The game is not eerie, and throughout the first half of the game I felt safe rather than tense. By chapter six or seven, DS2 was “just another action game” to me, and while the mechanics are solid, the play routine had grown old with lack of variety. The on-rails set pieces are of course very good, but even these segments could be more interactive. Much of my time was spent simply watching and waiting for the opportunity to do something. Compare this to something like Resident Evil 4, a six-year-old production, which kept players on the edges of their seats throughout every second of its high-action sequences (not to mention the fact that it executed better “horror”). The second half of DS2, however, introduces actually tangible objectives to the game’s flashy presentation that ask the player to DO and ACHIEVE, rather than the nebulous, follow-lines-down-the-same-space-hallways goals of the earlier chapters, which seemed to be of secondary importance and easily ignored without changing the overall experience. It also appears that a conscious choice was made around the midpoint, and especially upon entering the derelict Ishimura, to abandon the half-hearted horror of Isaac’s “escape” in favor of higher-tension shooting action and more effective use of both Isaac’s Marker insanity (which felt weak and far from unnerving throughout most of the game), and the concept of revisitation of a formerly animated environment. The combination of these things makes for a pleasantly surprising turn for the better, finally letting the game come into its own, even if combat does become notably routine (which it does). So once again, and not to be a hater, Dead Space 2 is a solid, playable, and enjoyable game, just not the blockbuster masterpiece it has been lauded as thus far.